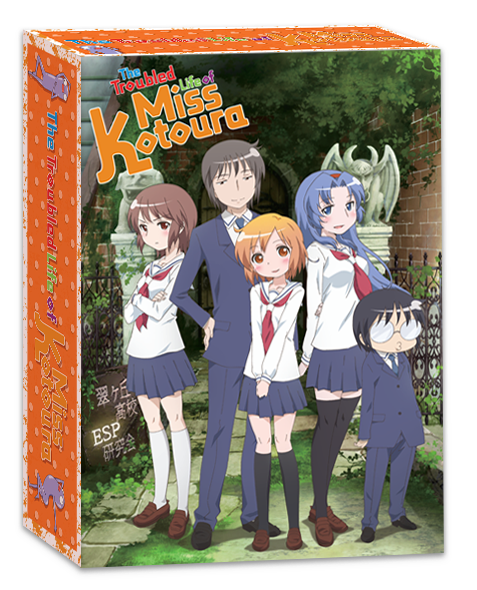 Robert's Anime Corner Blog: NIS Announces The Troubled Life of Miss Kotoura Complete BD Premium Edition! 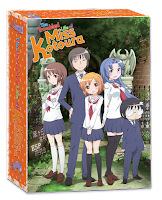 NIS Announces The Troubled Life of Miss Kotoura Complete BD Premium Edition! This Premium Edition includes a hardcover art book (full color, 64 pages) with detailed character info, interviews with cast members, episode guides and gorgeous full color illustrations. 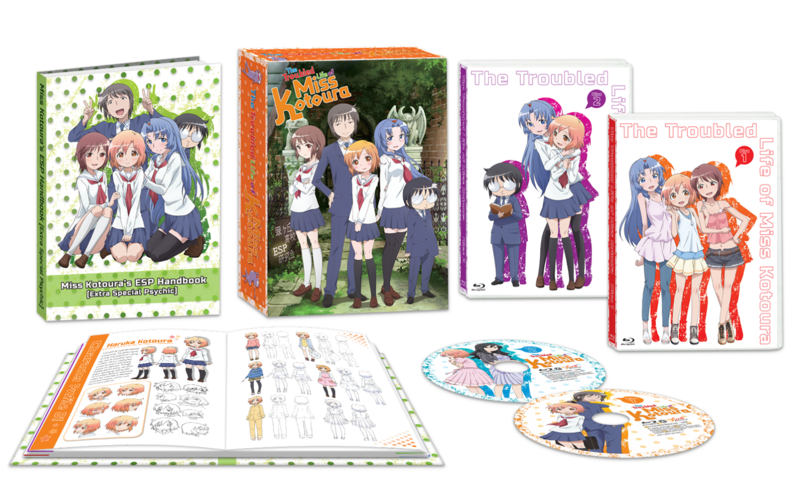 Extra's include Clean Openings and Endings, Japanese Trailers, Haruka Exploring Kotoura Town and Haruka's Room. For a limited time, we're offering this set in pre-order for the special RACS price of only $46.98 ($64.98 MSRP) so reserve your copy today! Release date is set for August 4th. Synopsis: 15-year-old Haruka Kotoura has the ability to read minds. This gift has caused her to distance herself from others until the day she meets Yoshihisa Manabe, who sits next to her in class. Despite his perverted fantasizing, he encourages her to open up her heart. With the help of the ESP Research Society, Haruka and Yoshihisa discover that life can be full of heartfelt laughter, even when things seem hopeless.